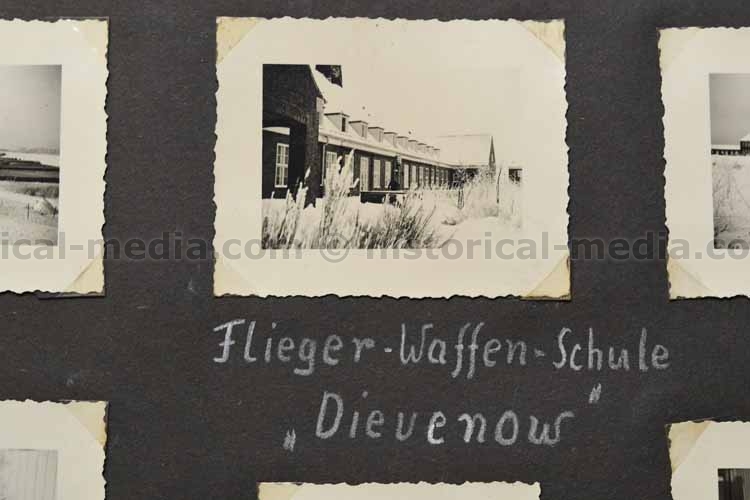 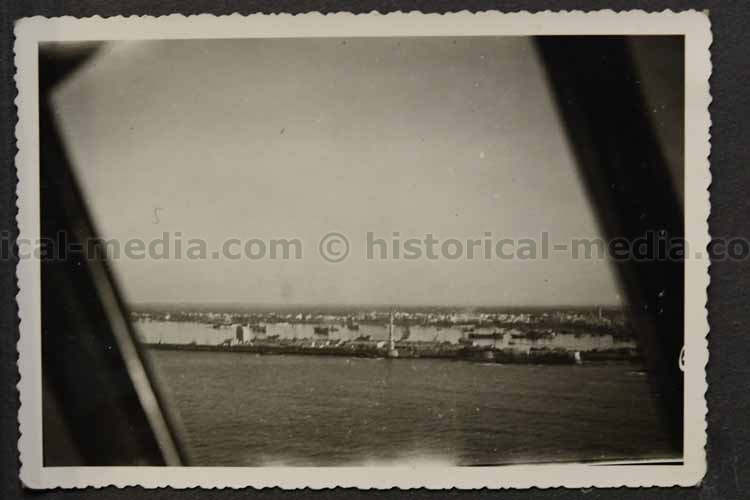 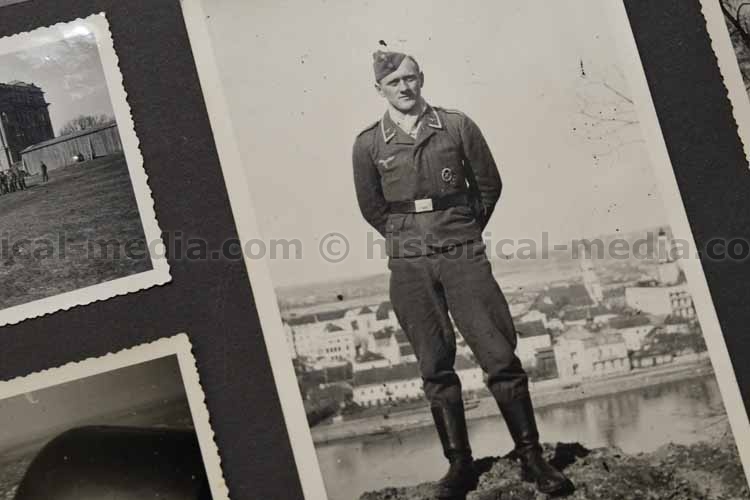 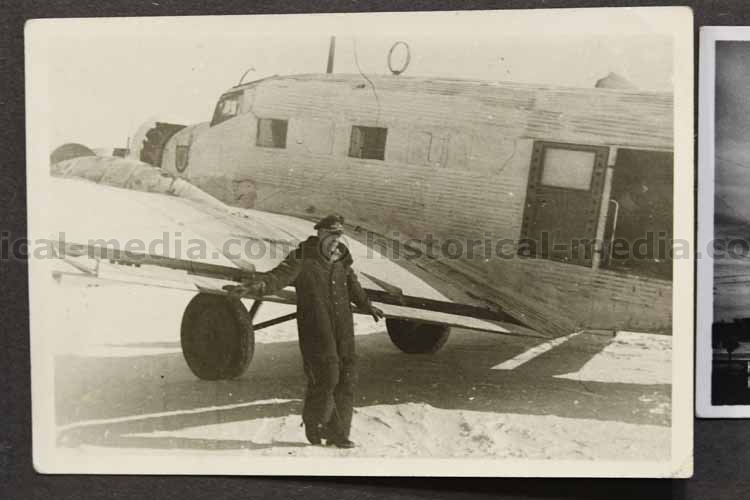 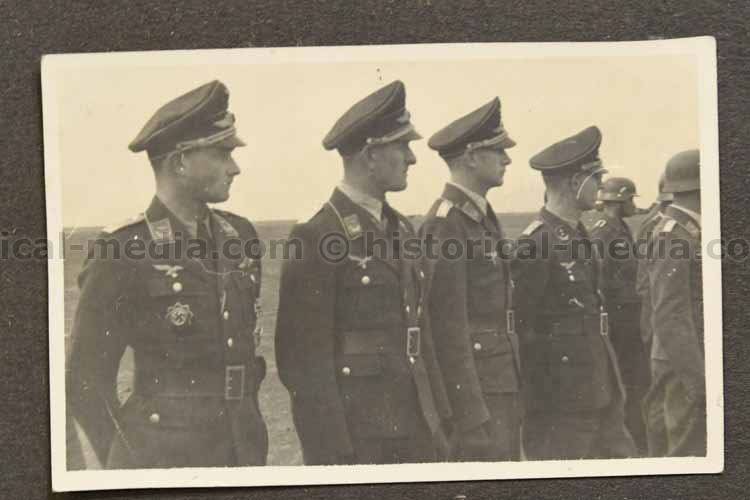 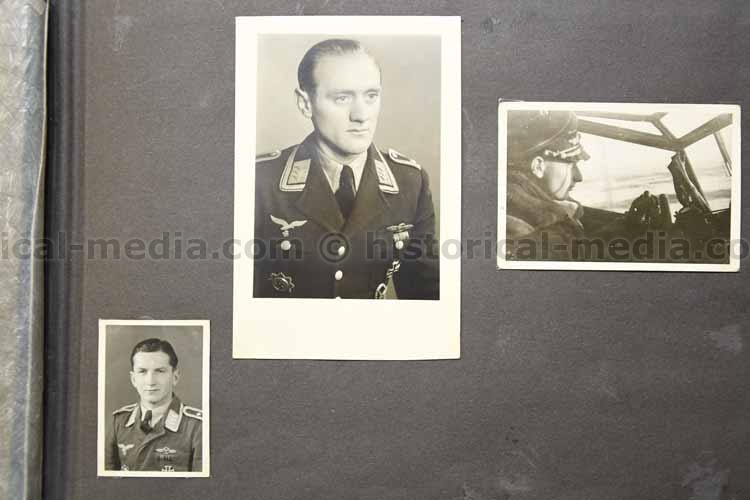 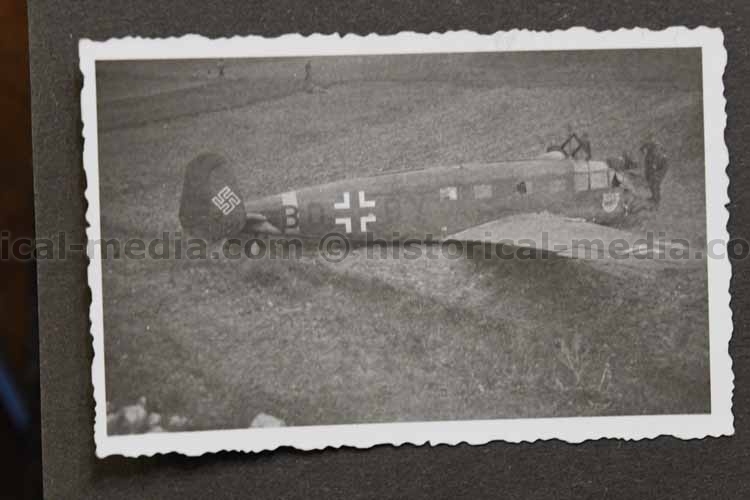 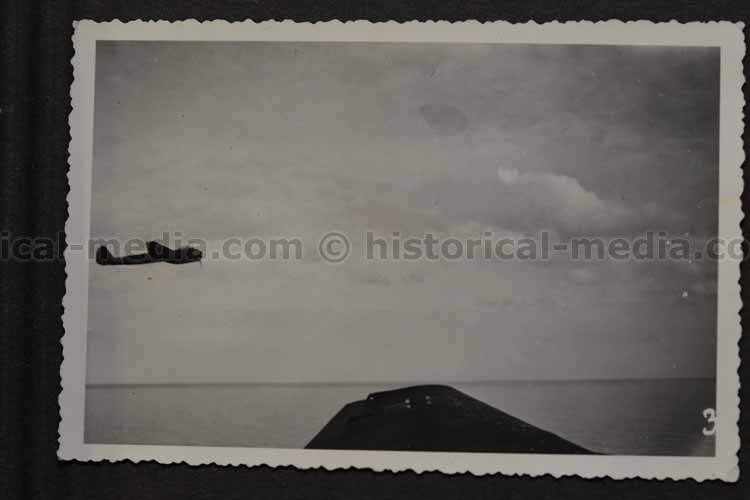 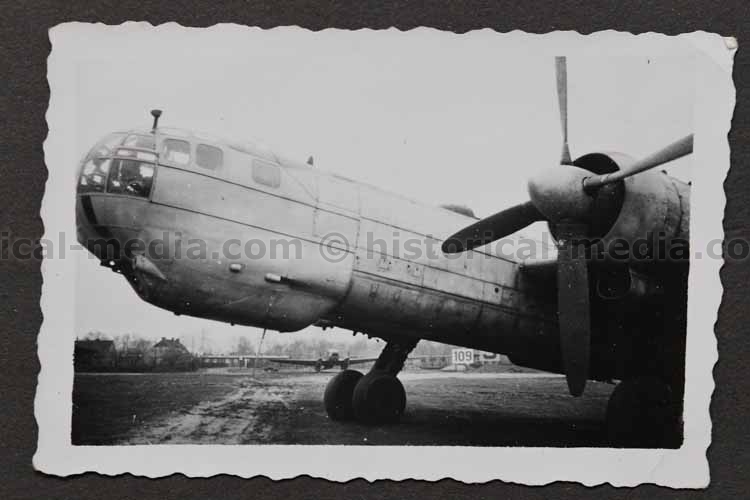 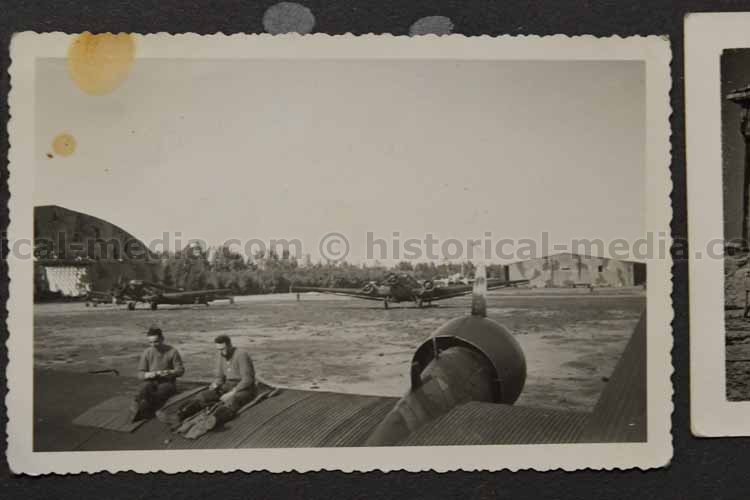 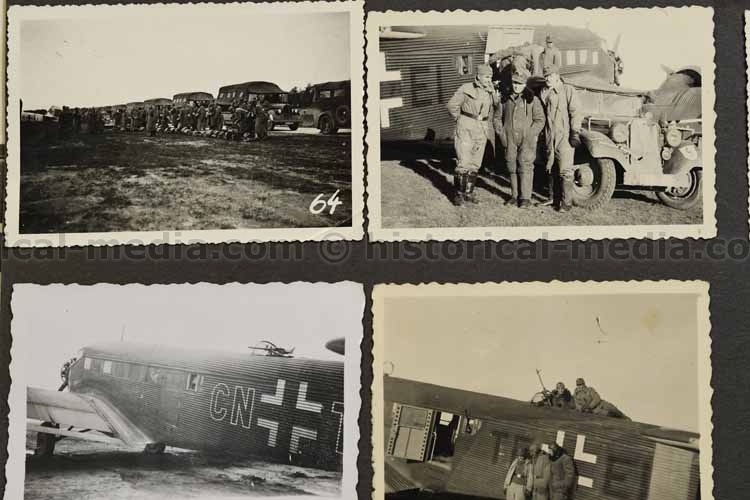 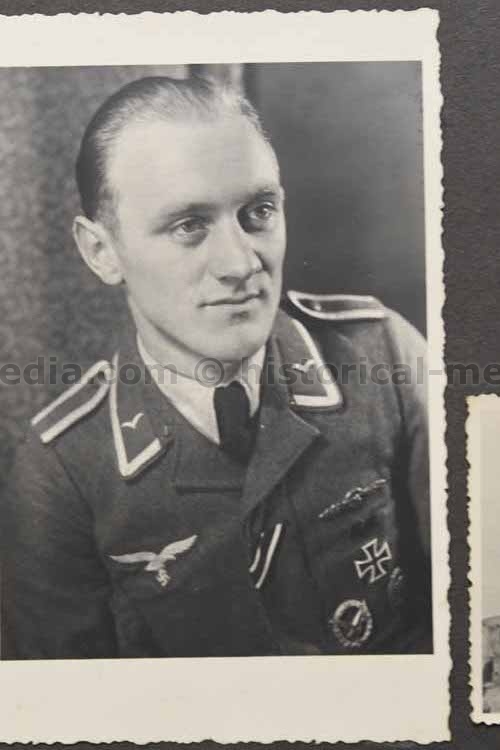 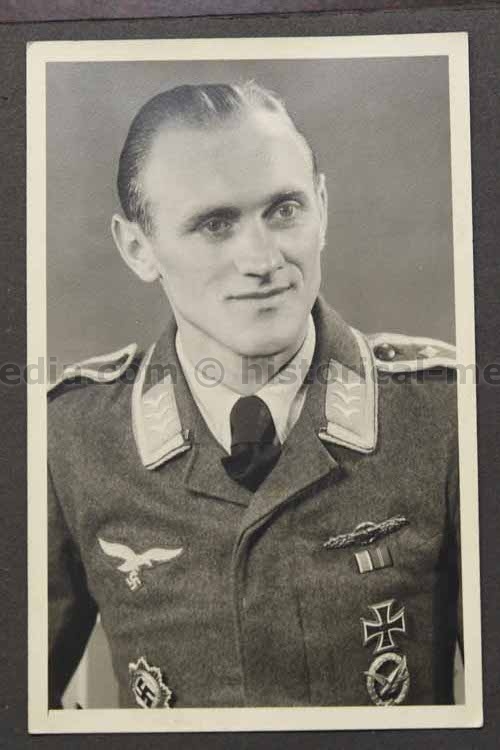 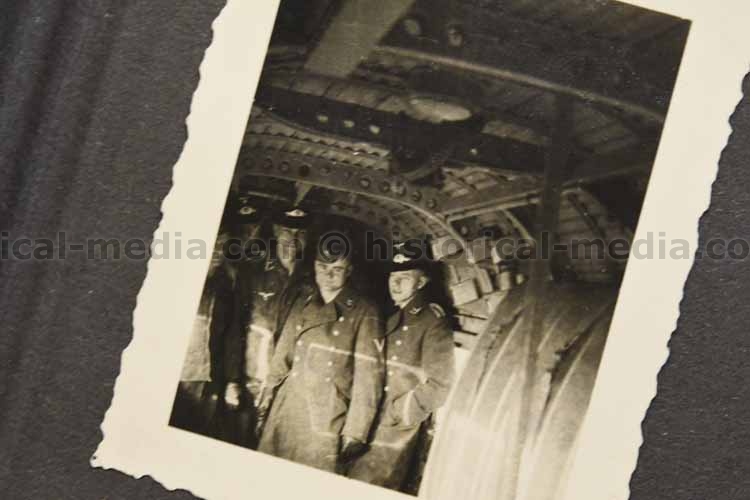 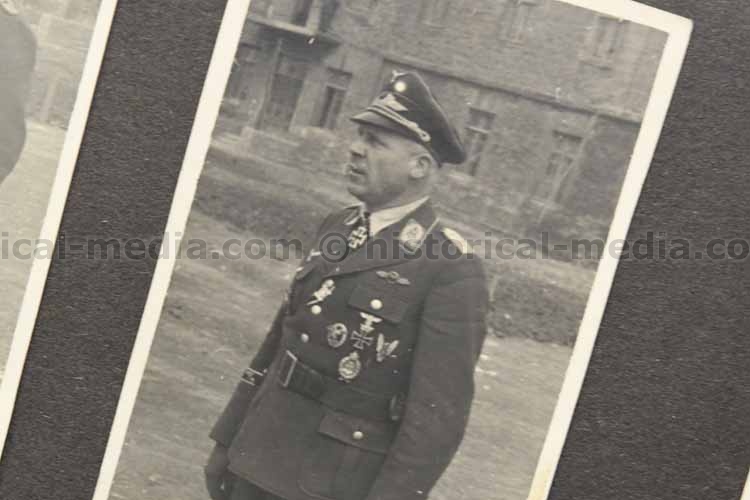 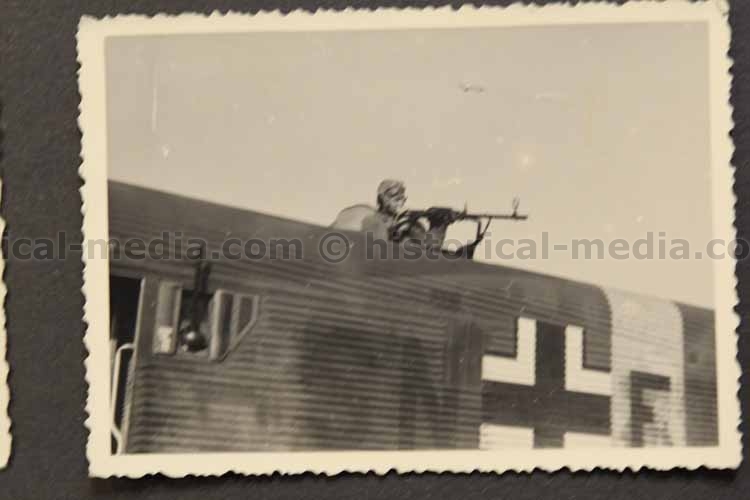 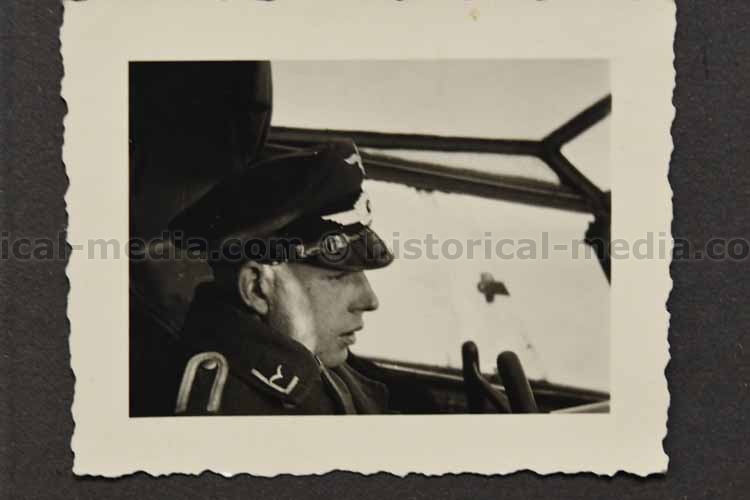 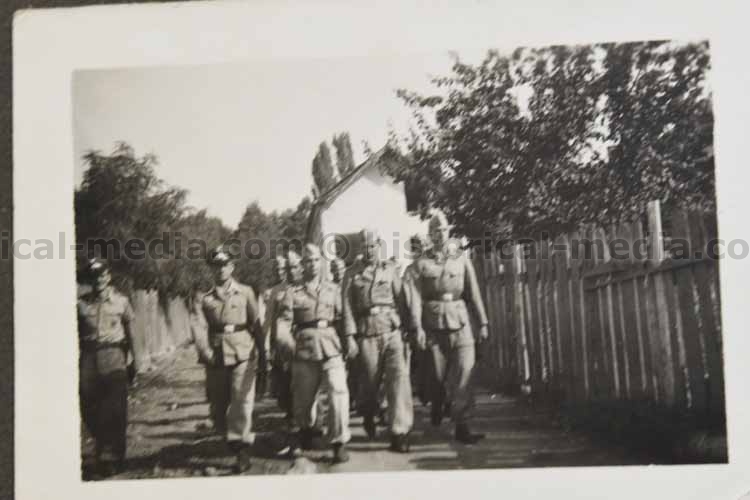 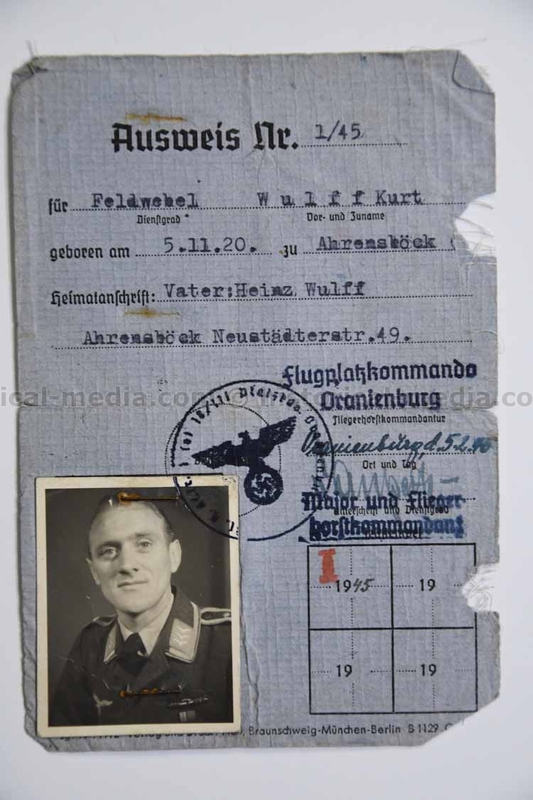 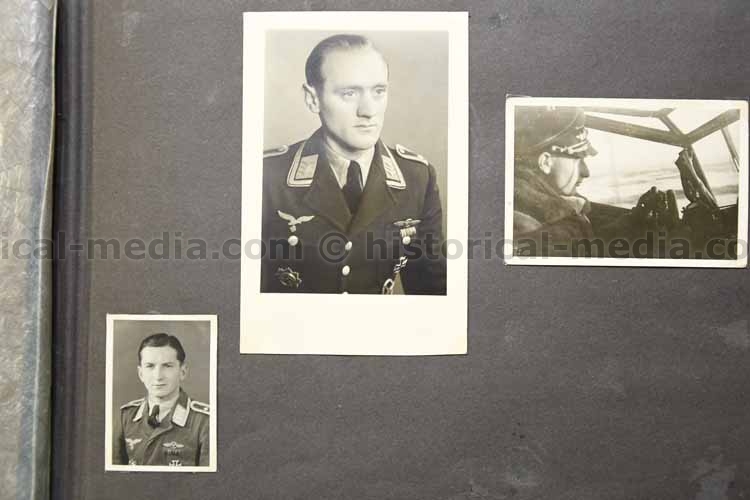 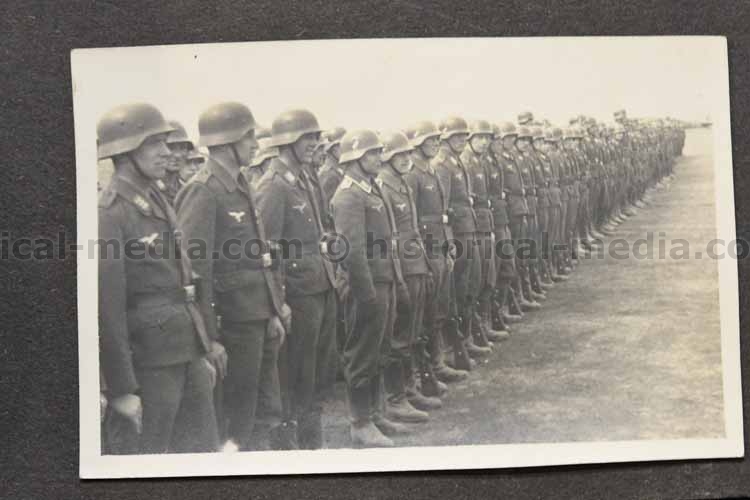 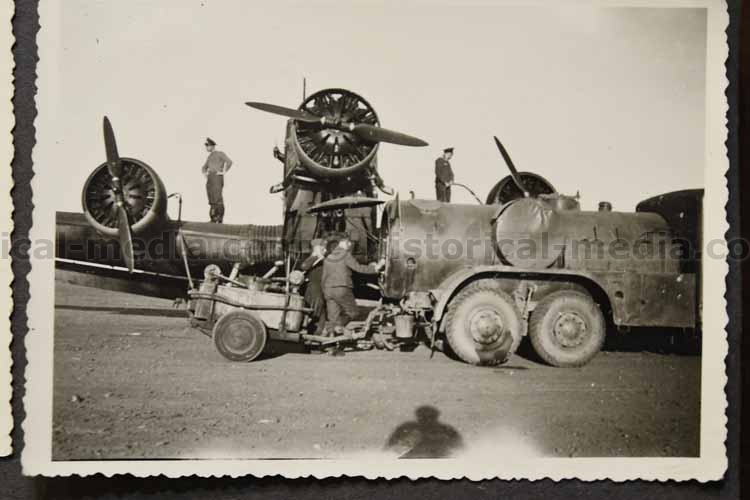 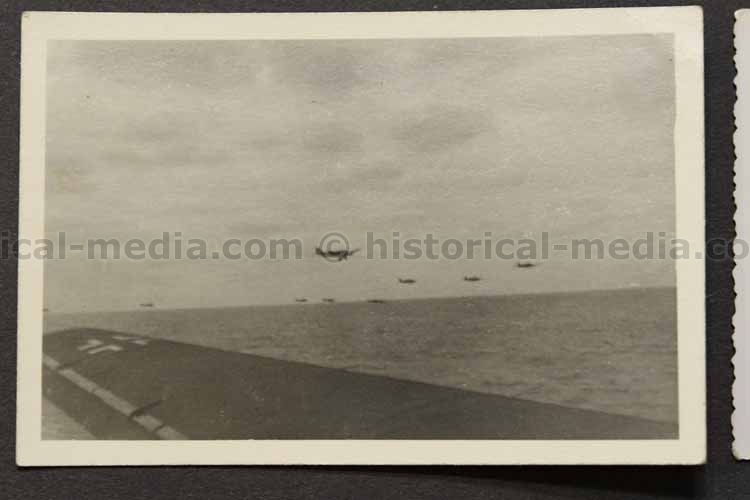 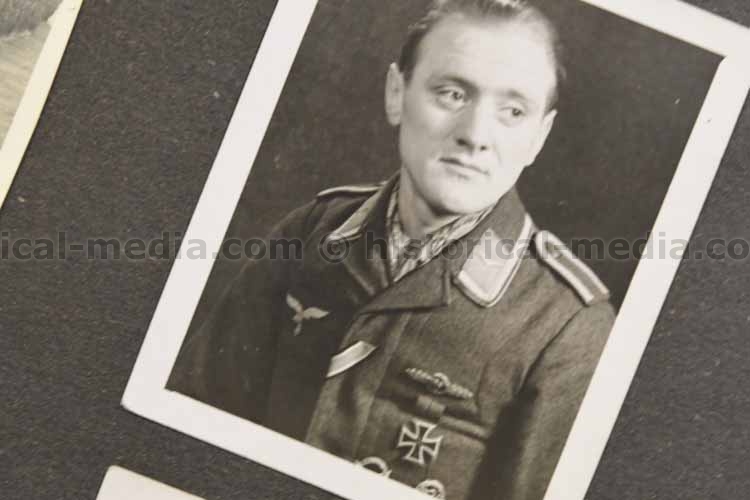 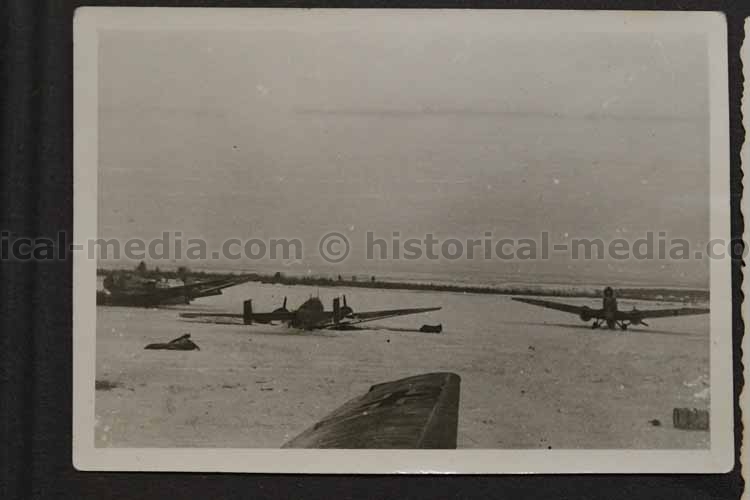 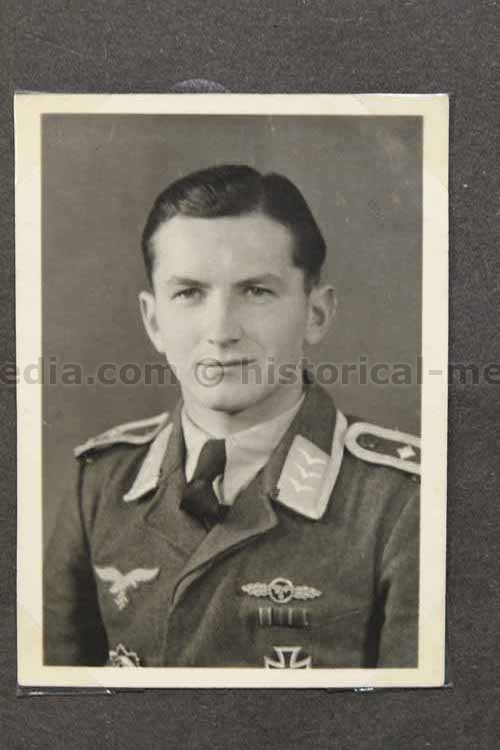 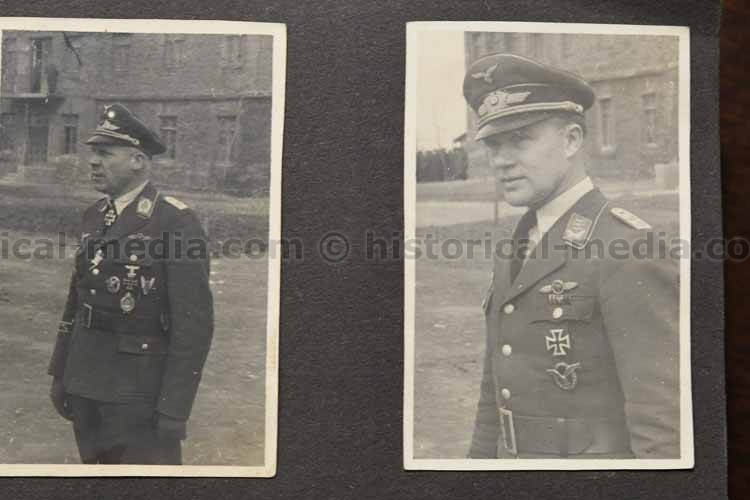 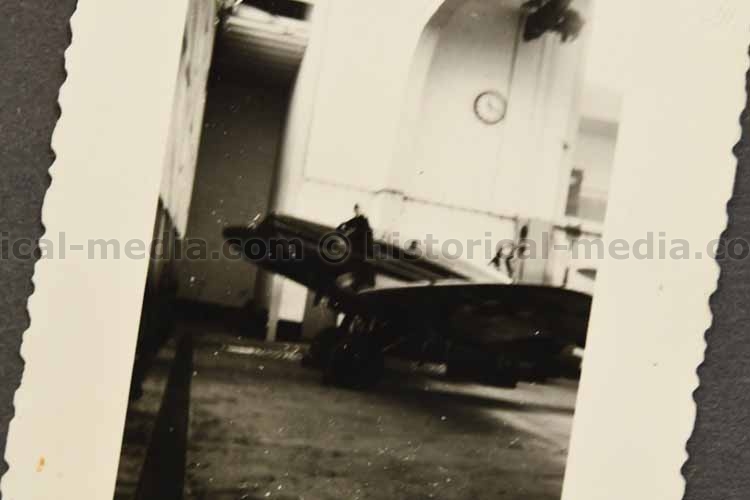 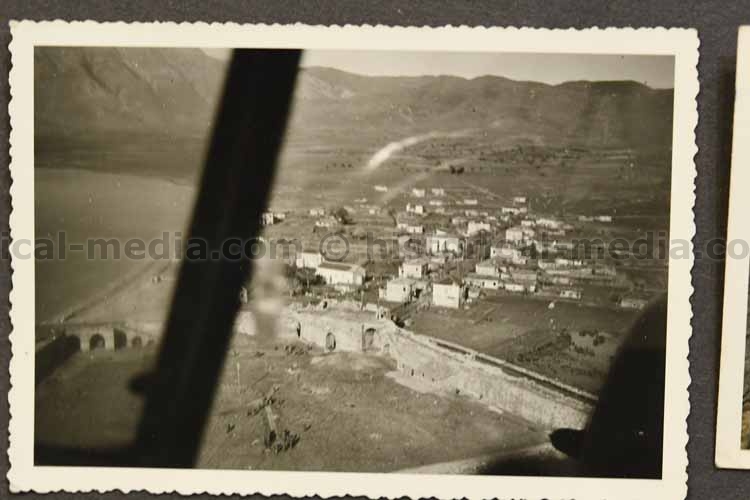 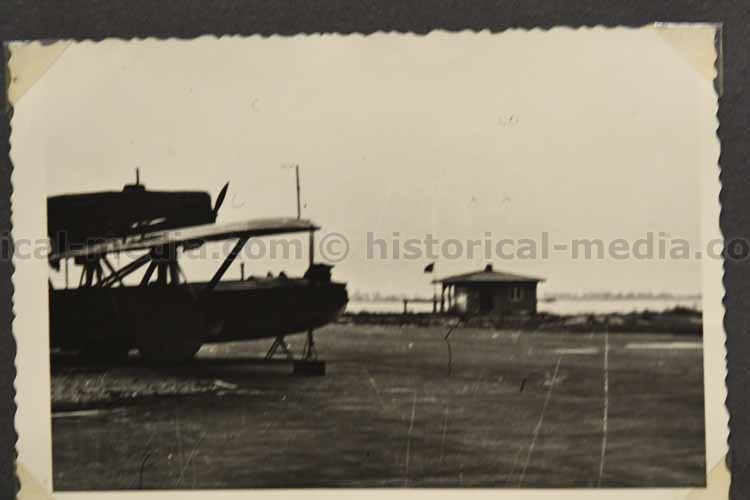 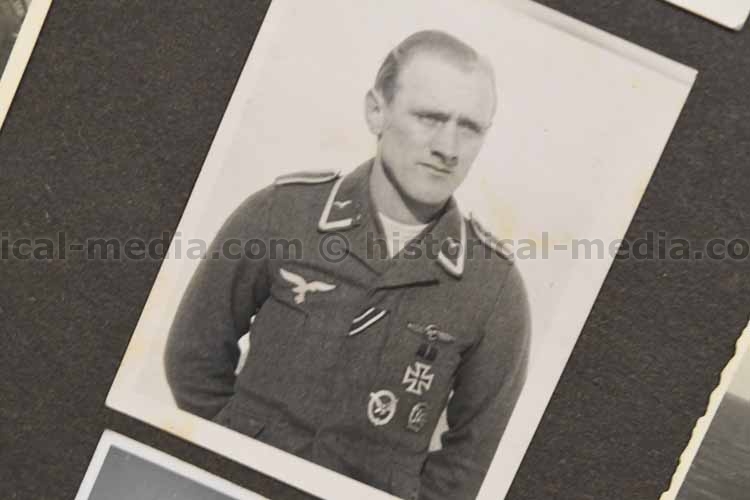 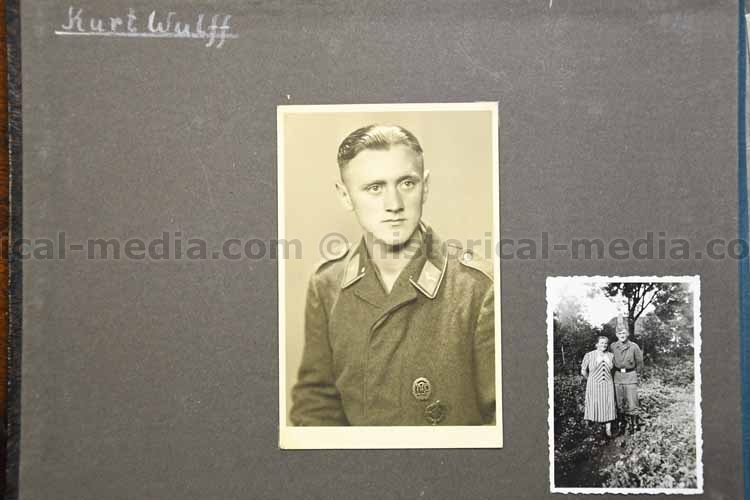 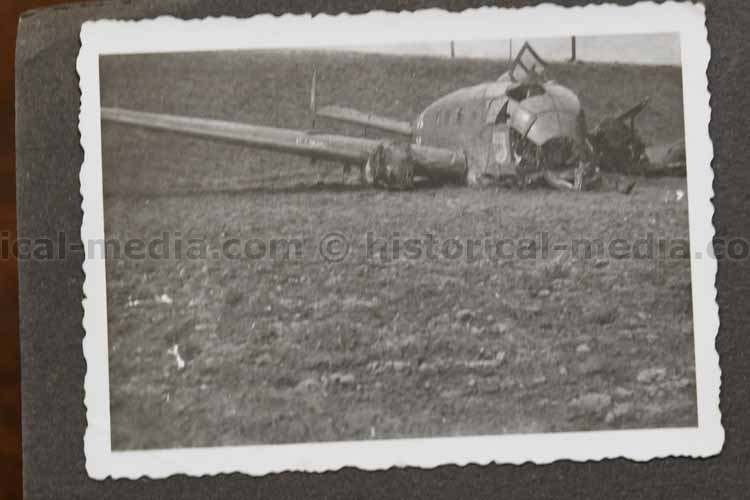 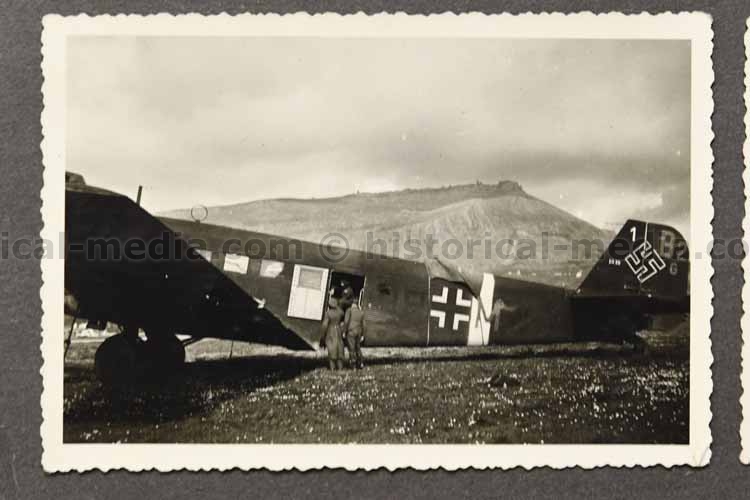 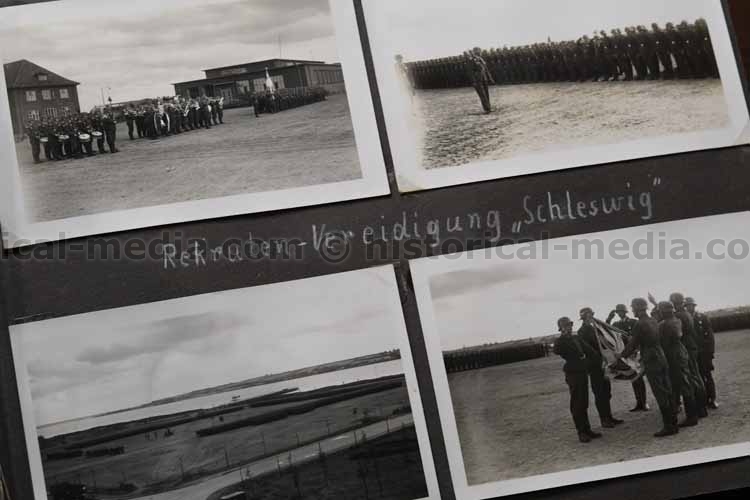 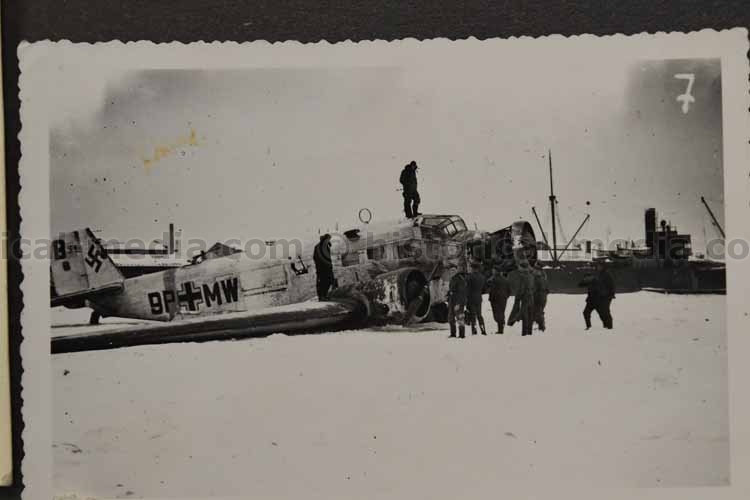 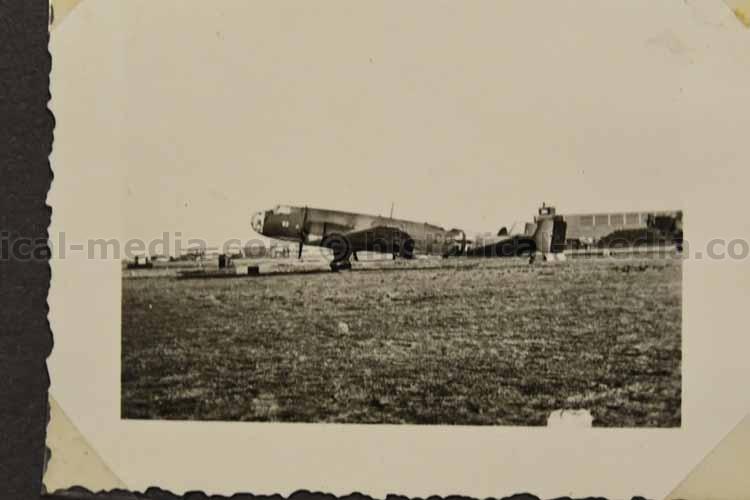 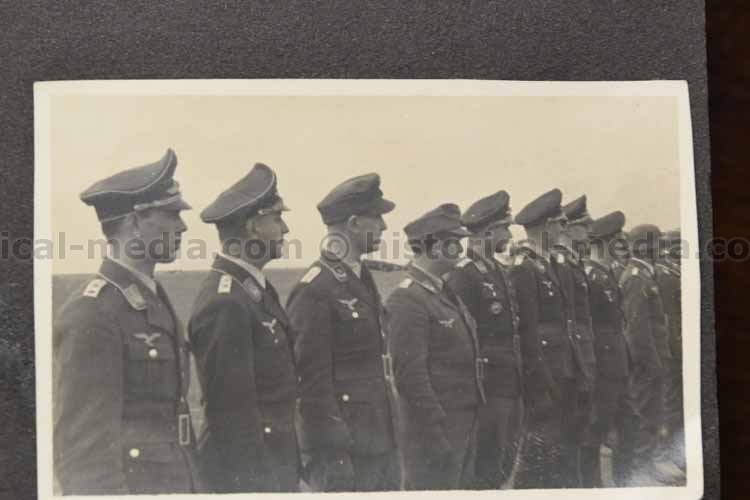 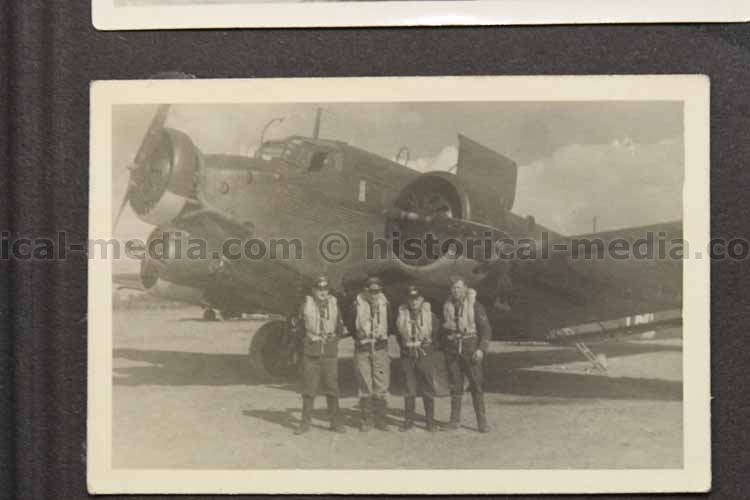 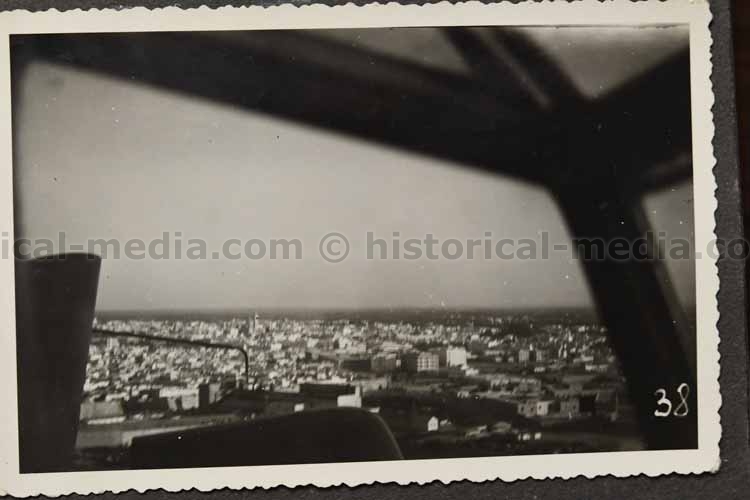 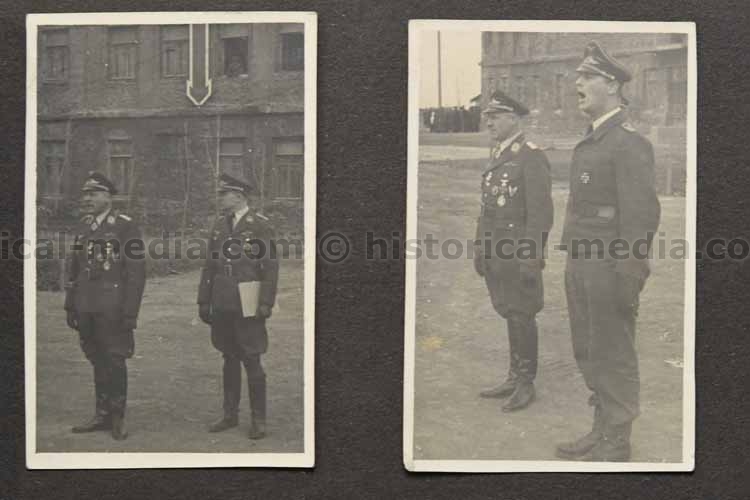 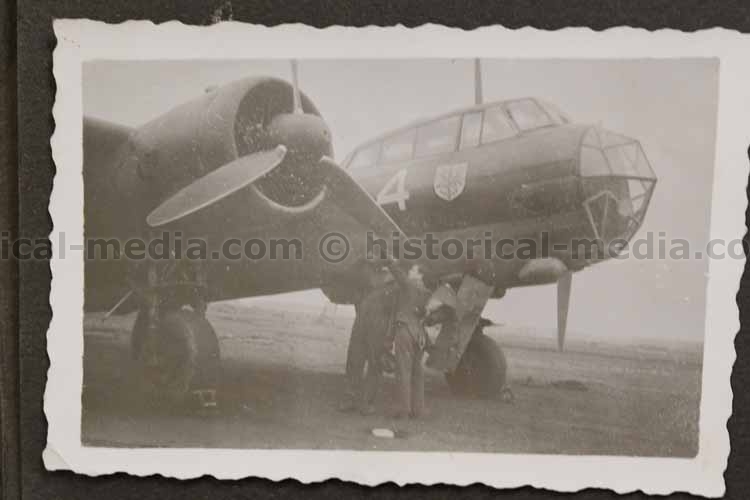 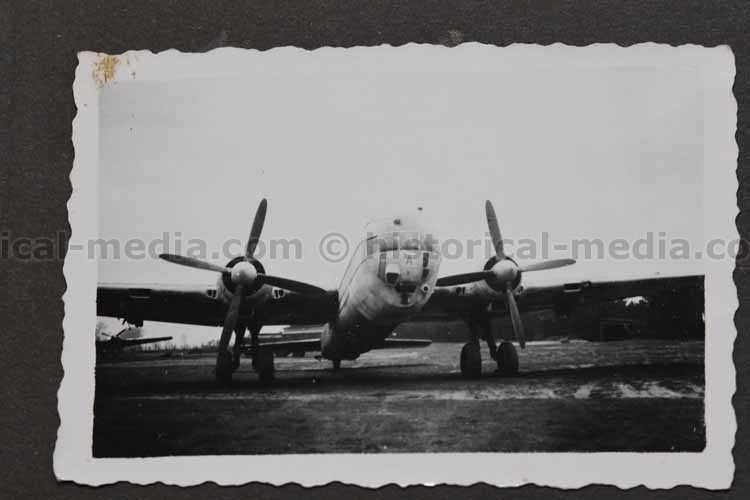 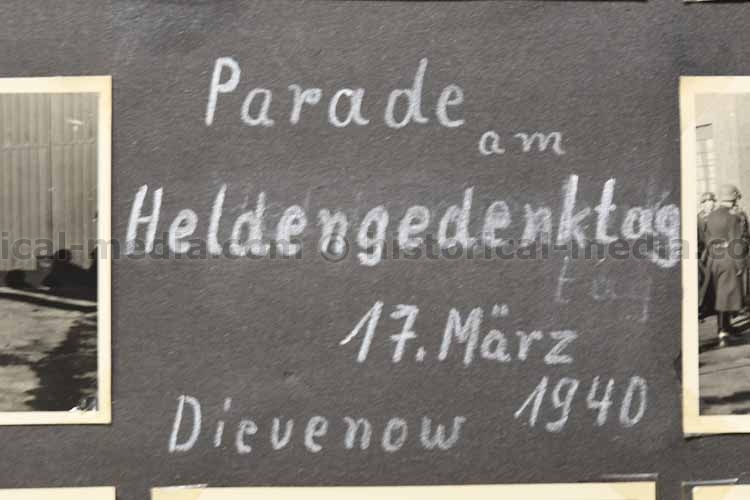 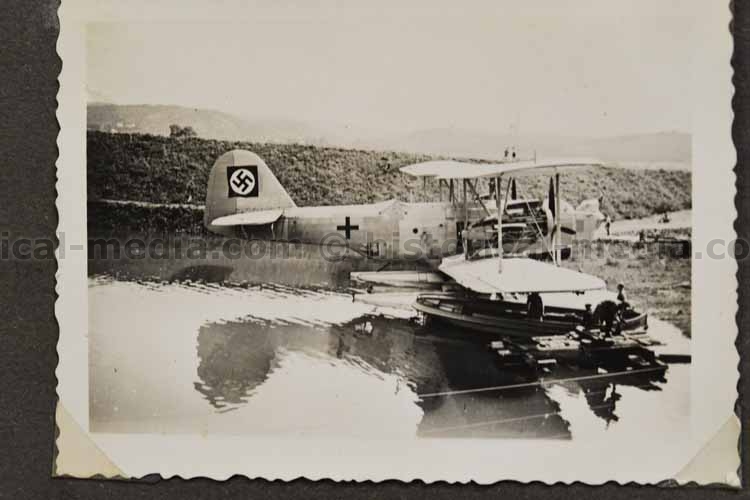 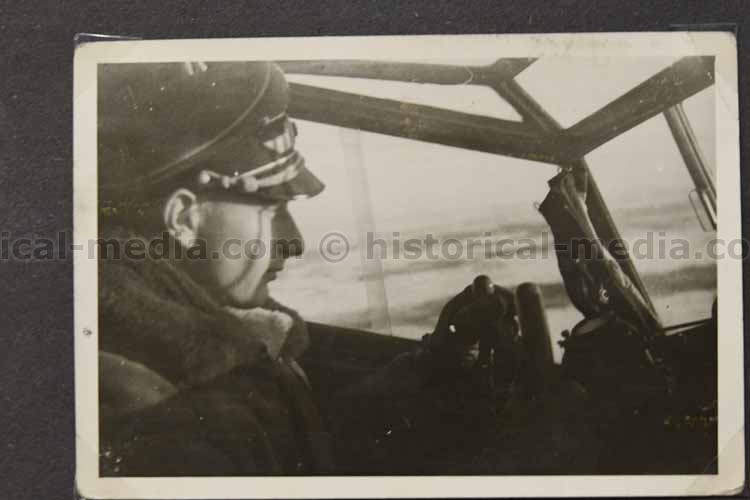 319 photos of DKiG winner Feldwebel Kurt WULFF. 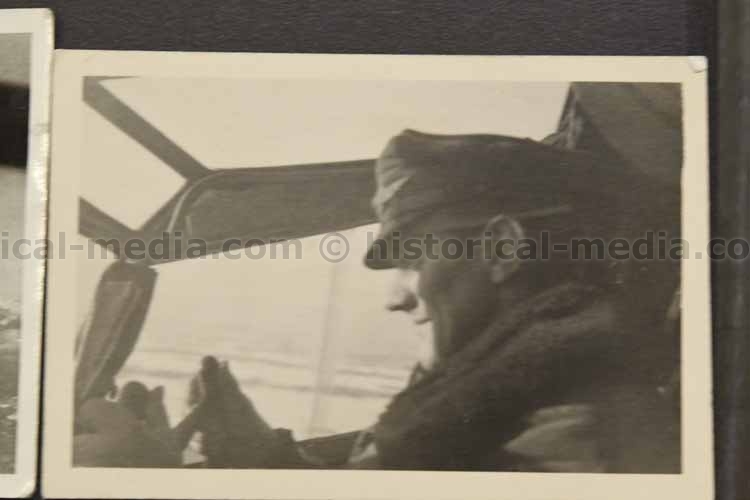 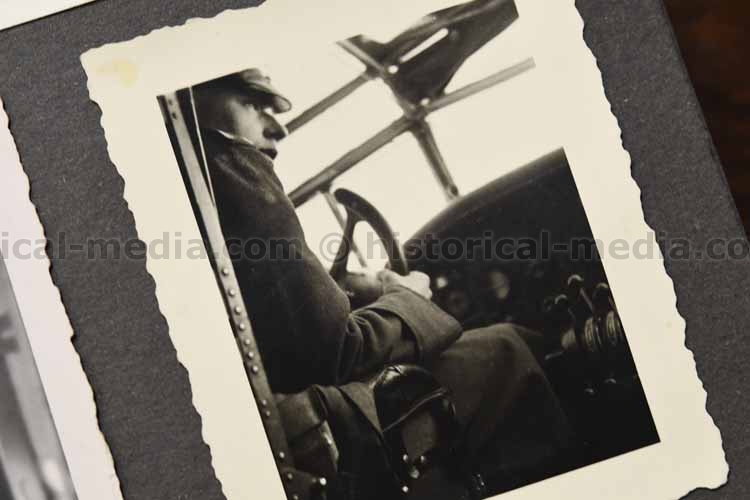 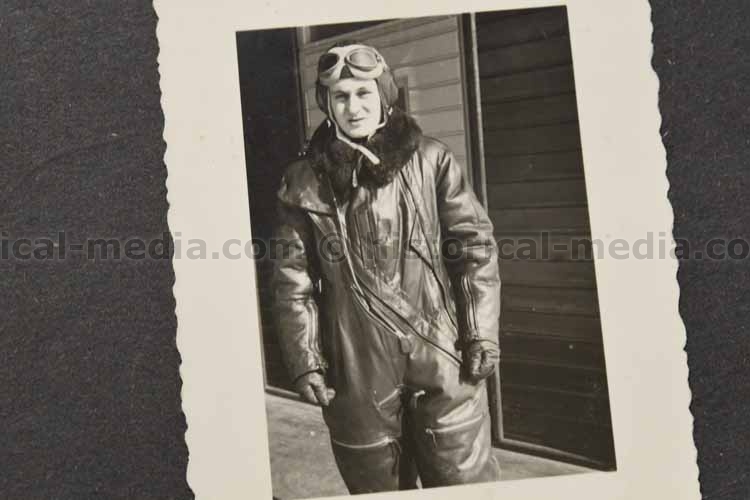 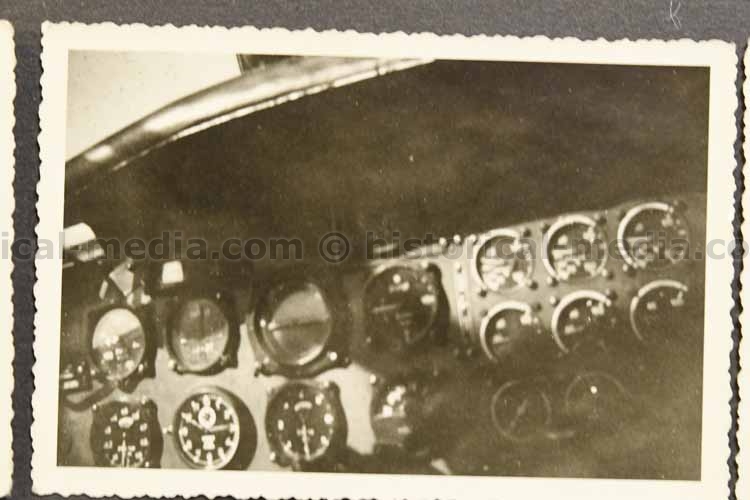 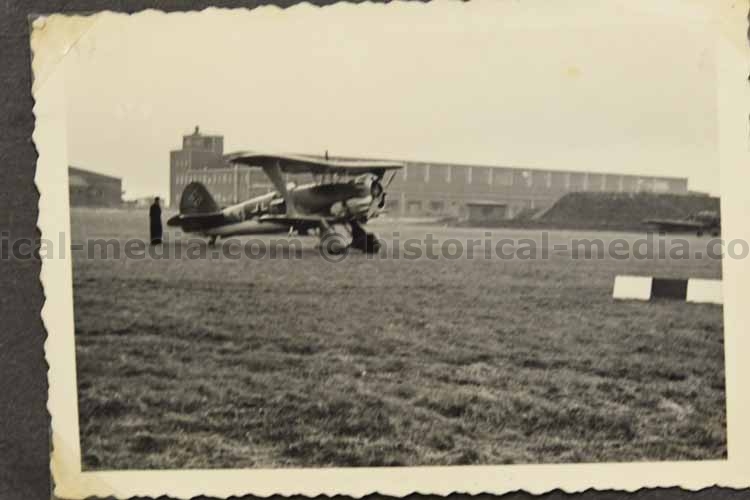 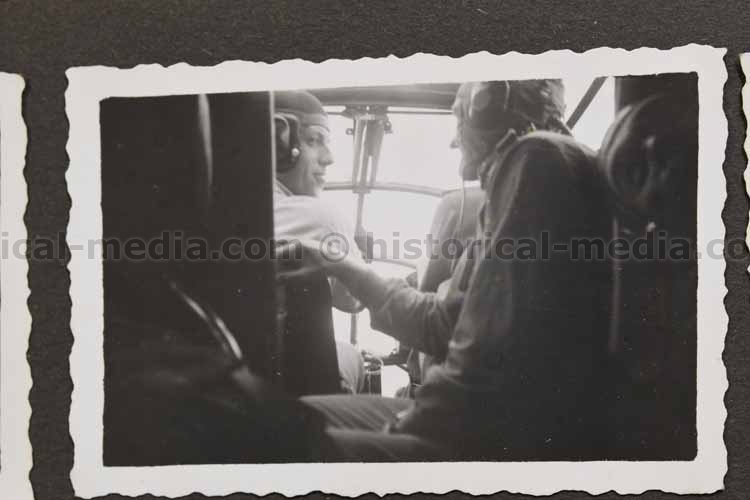 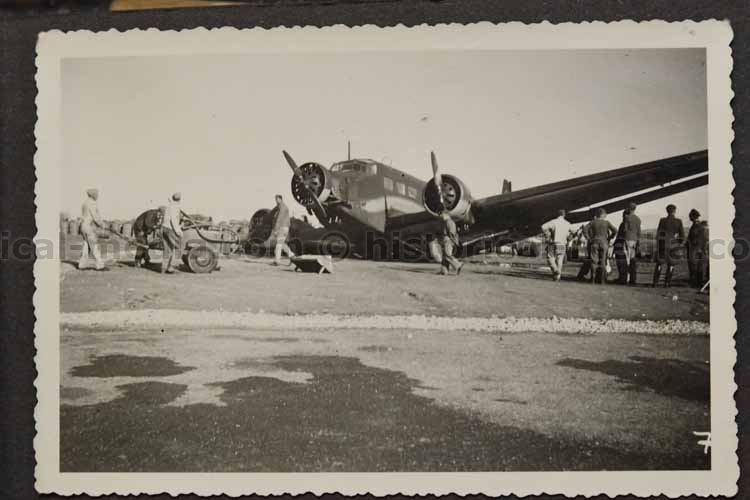 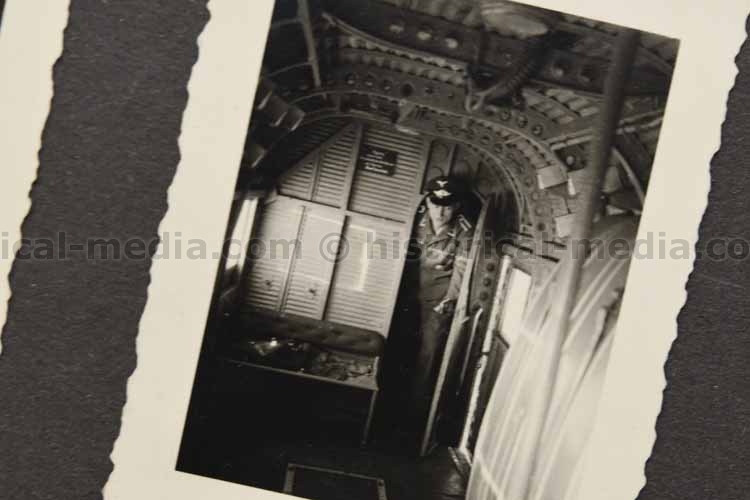 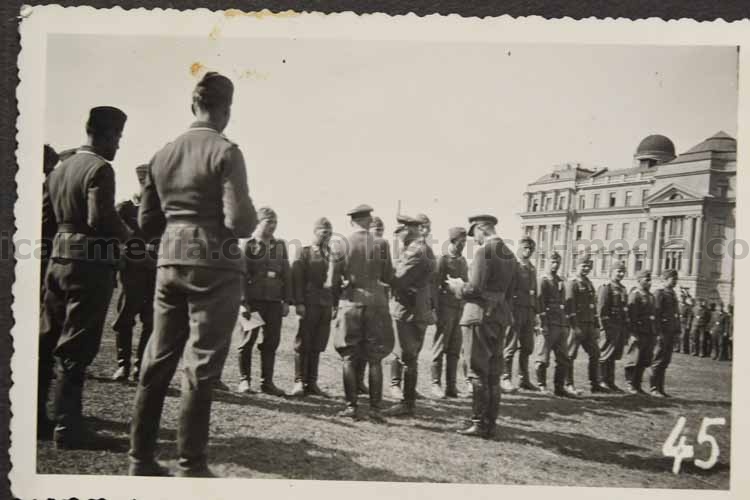 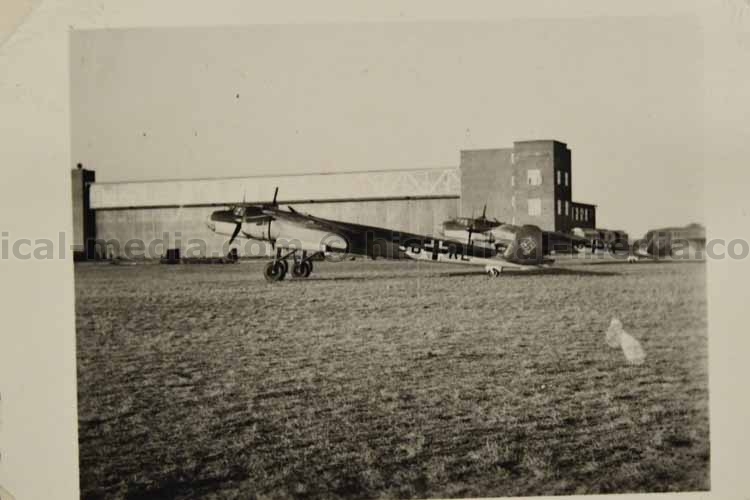 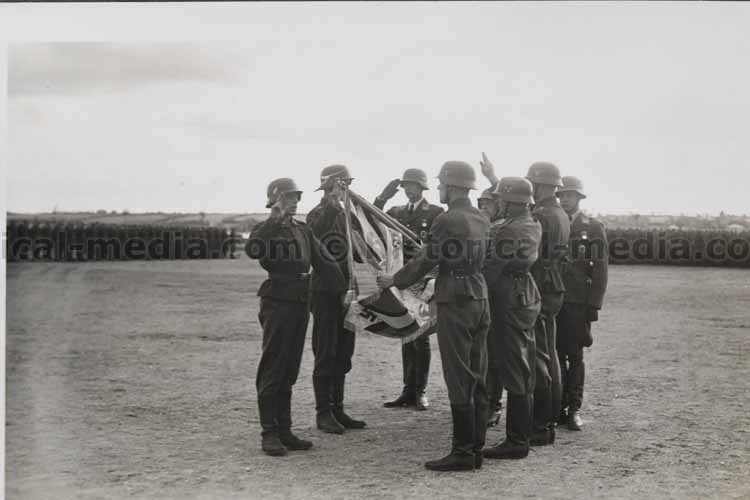 He was awarded the DKIG for service with TG4 for flying support missions to STALINGRAD! 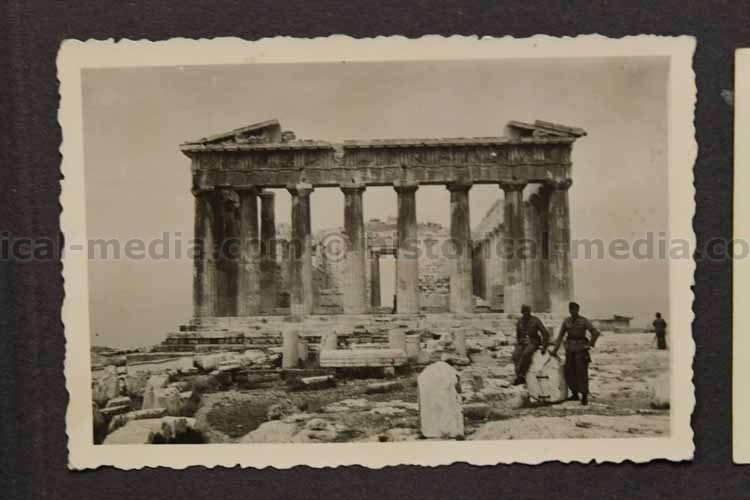 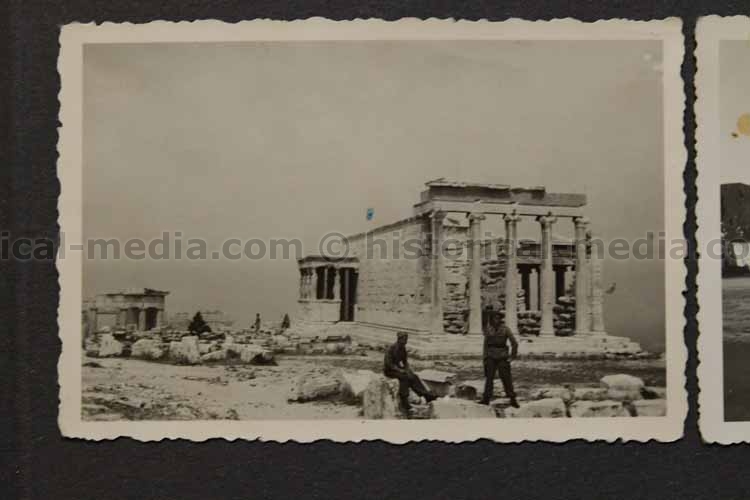 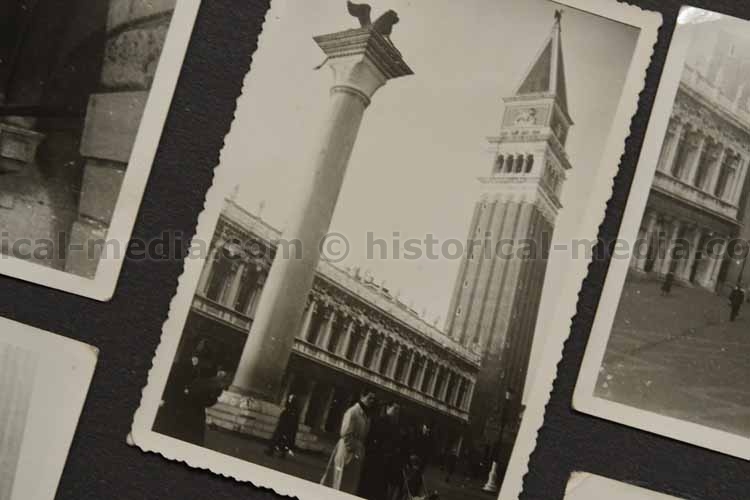 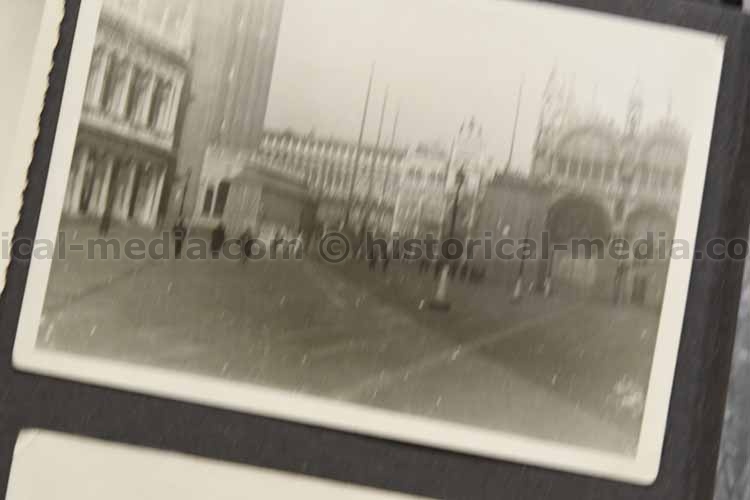 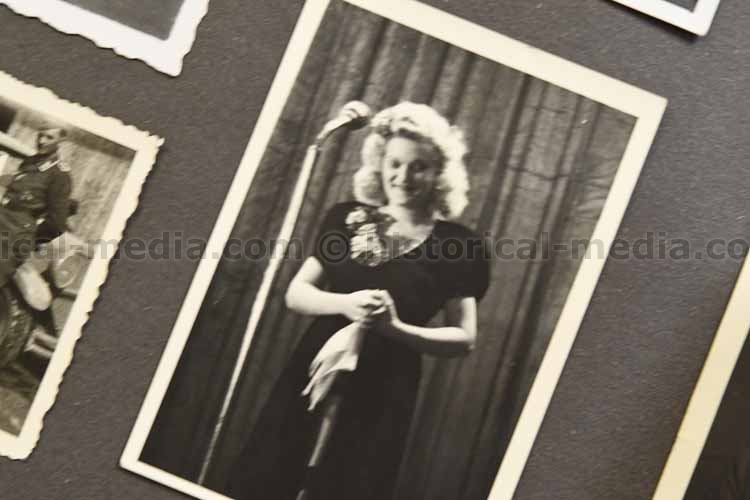 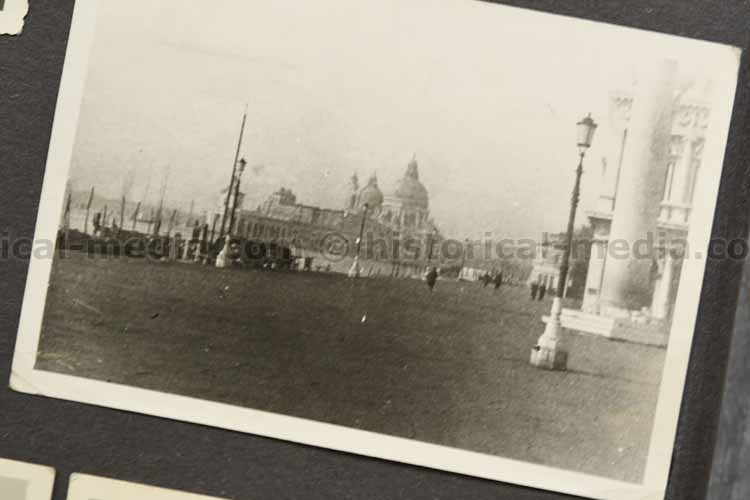 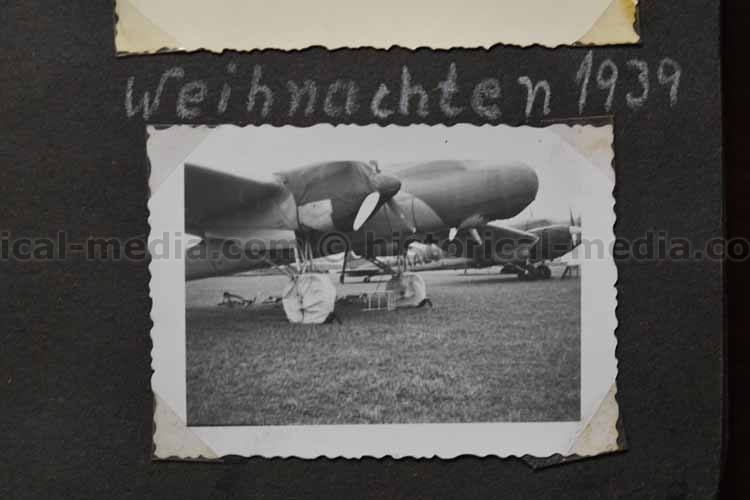 Many photos captioned on reverse. 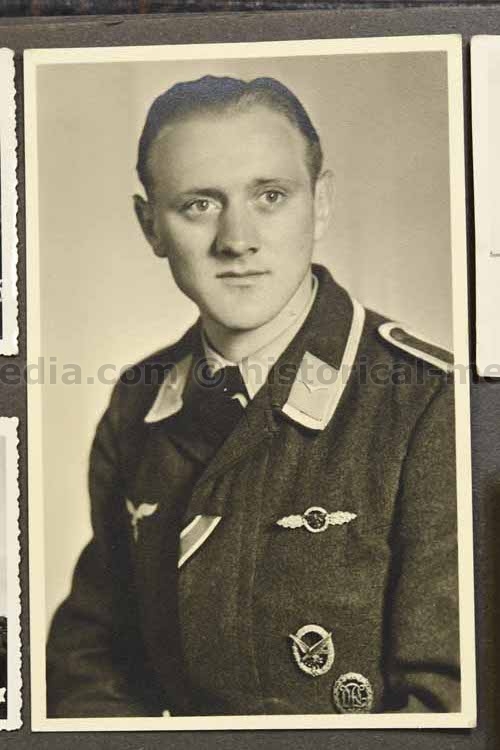 He served in 5,/KGzbV 4 and 2./KGzbV 500. 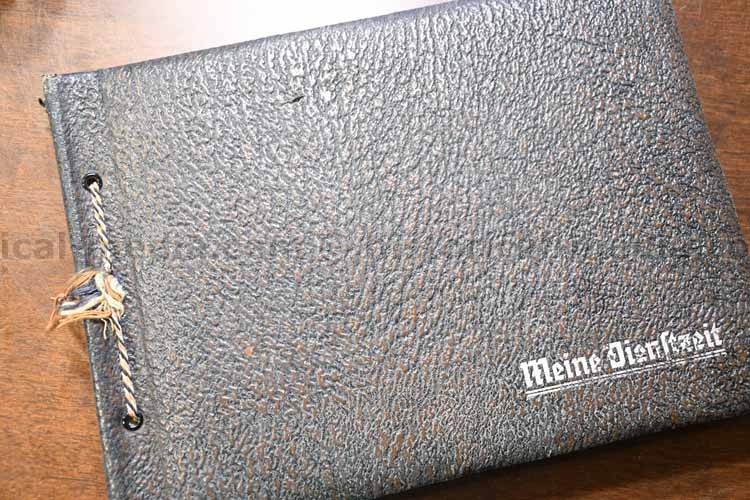 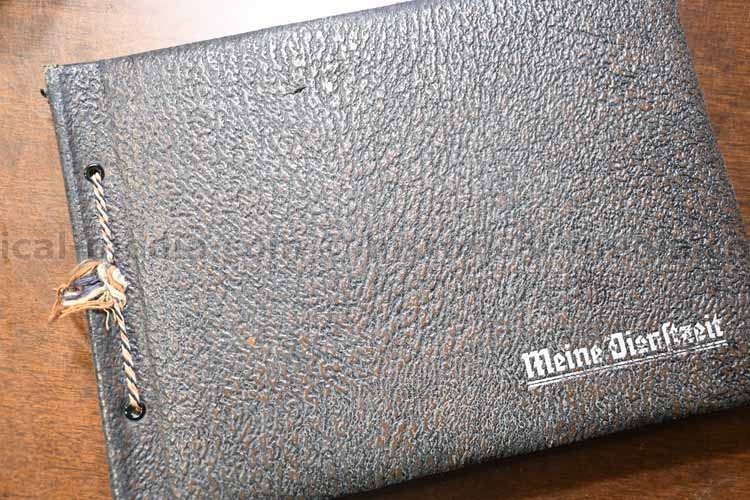 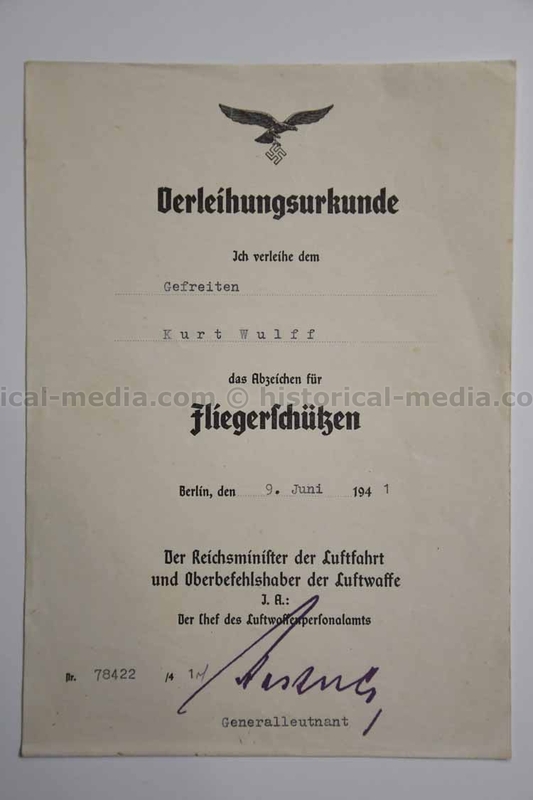 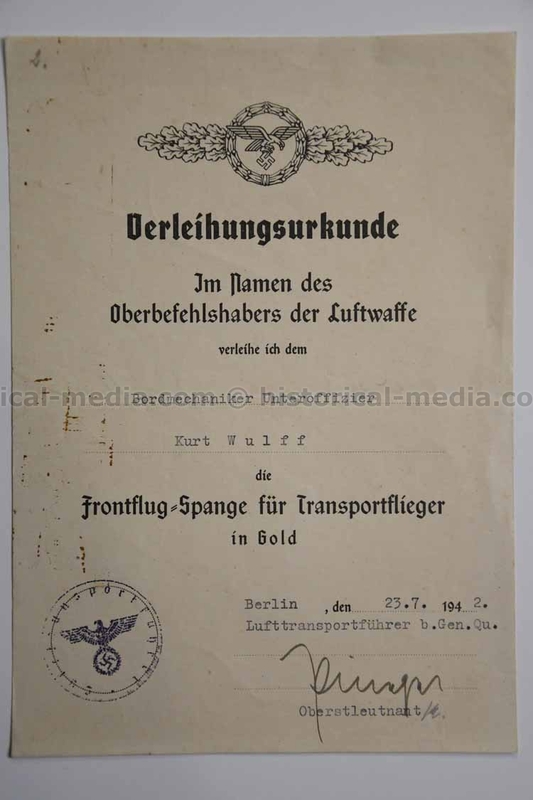 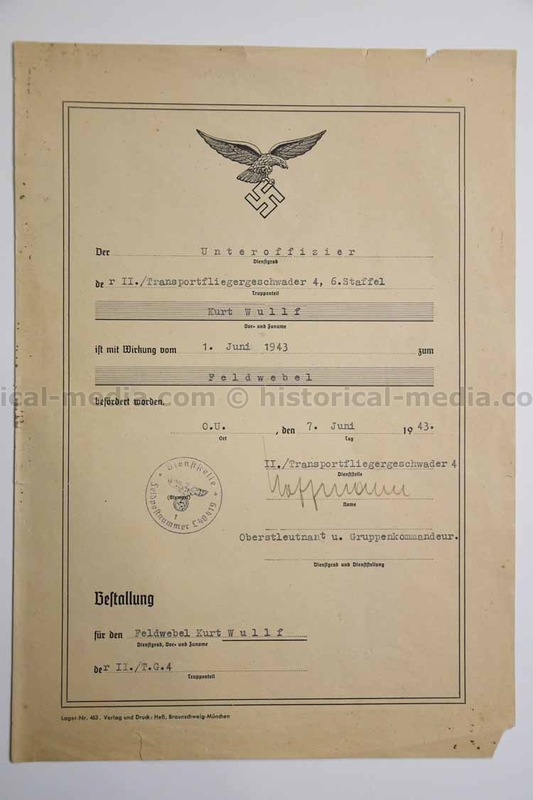 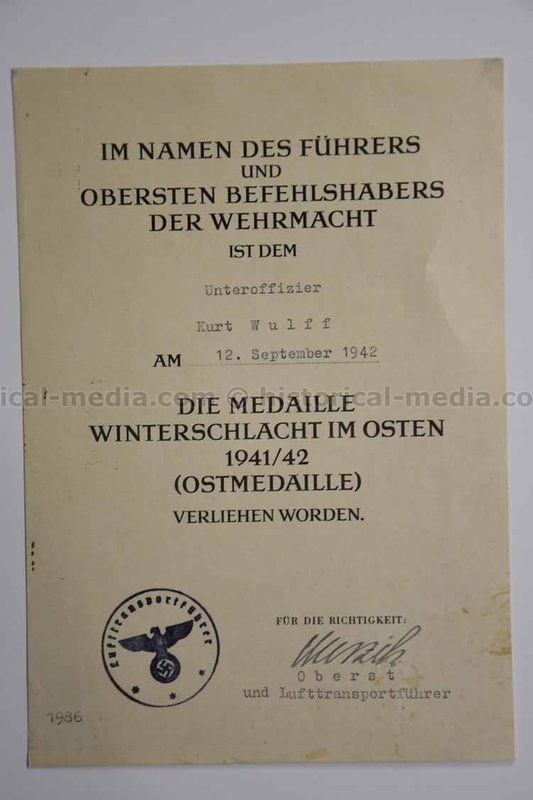 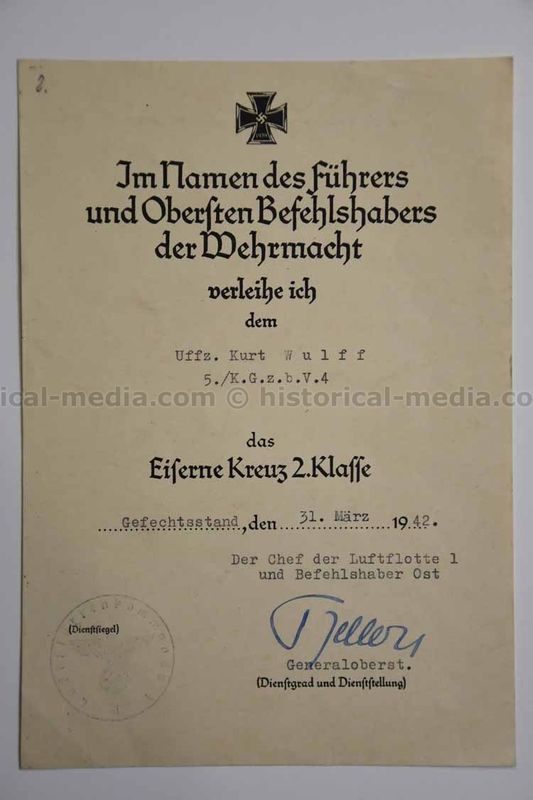 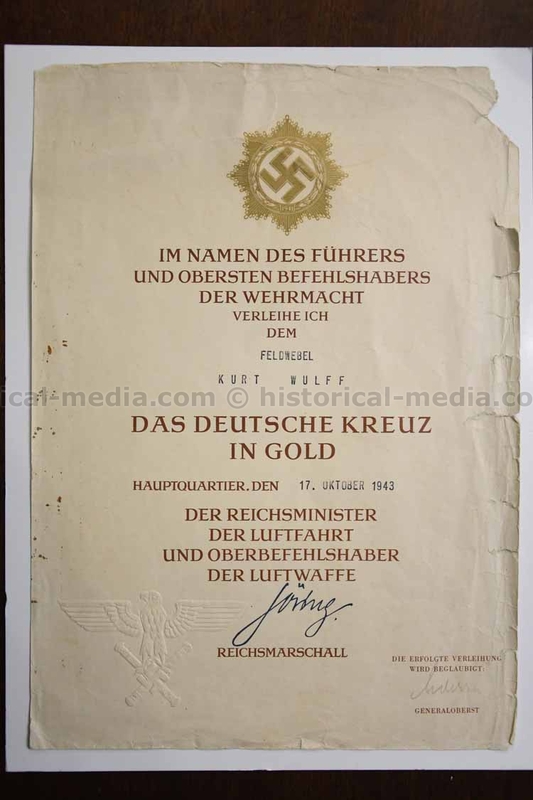 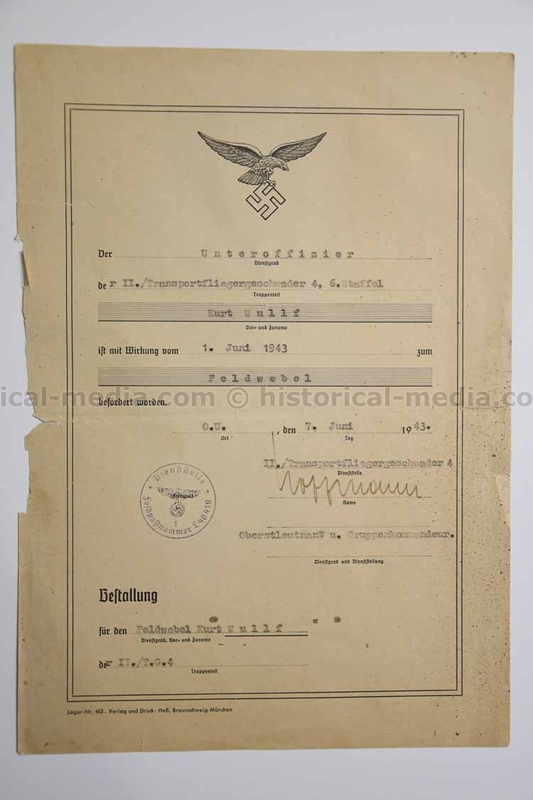 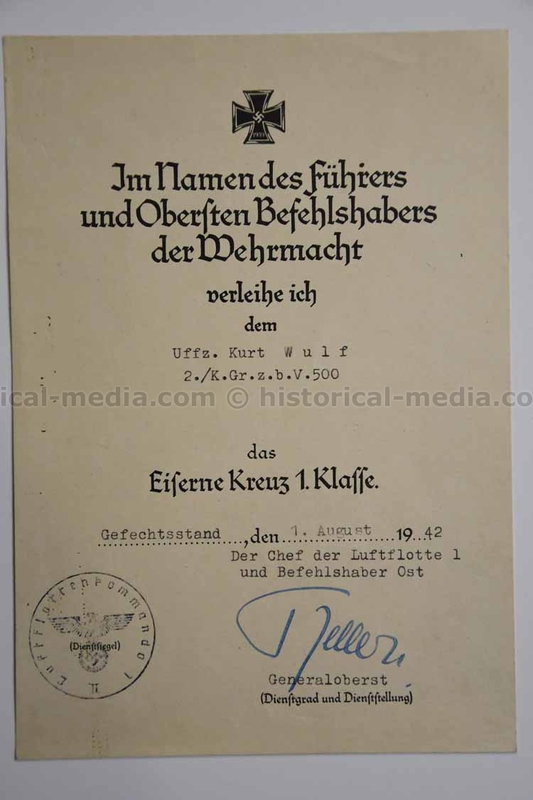 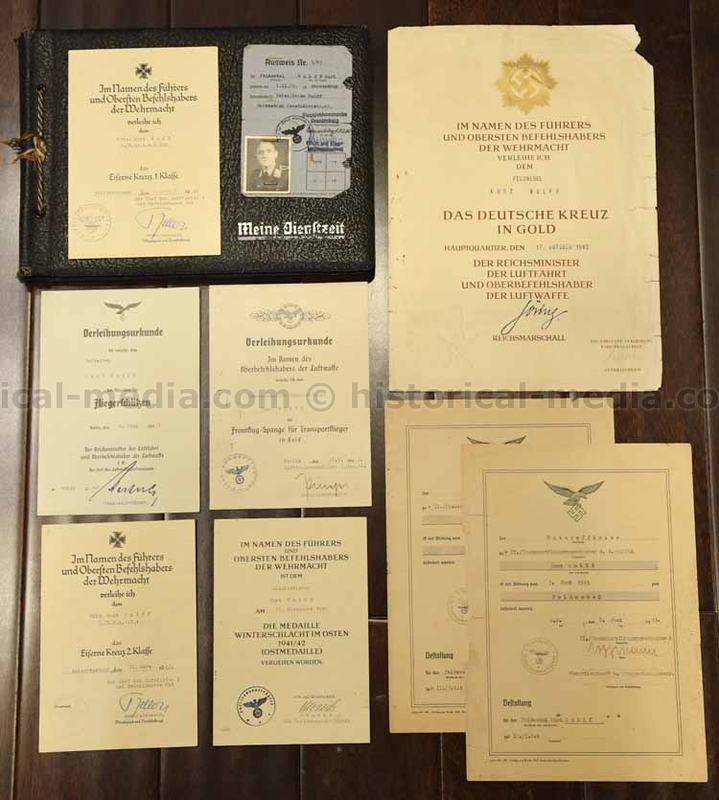 Comes with a great grouping of documents including his large formal German Cross in Gold document, Iron Cross Second Class with original signature Generaloberst Alfred Keller (RK), Iron Cross First Class also with Keller signature, Transport Flight Clasp in GOLD with orig signature Lufttransportführer beim Generalquartiermeister, Ostmedaille award document with original signature Oberst Friedrich-Wilhelm Morzik, Air Gunner Badge award document, promotion document to Feldwebel with orig signature Gruppenkdr in Transportfliegergeschwader 4. 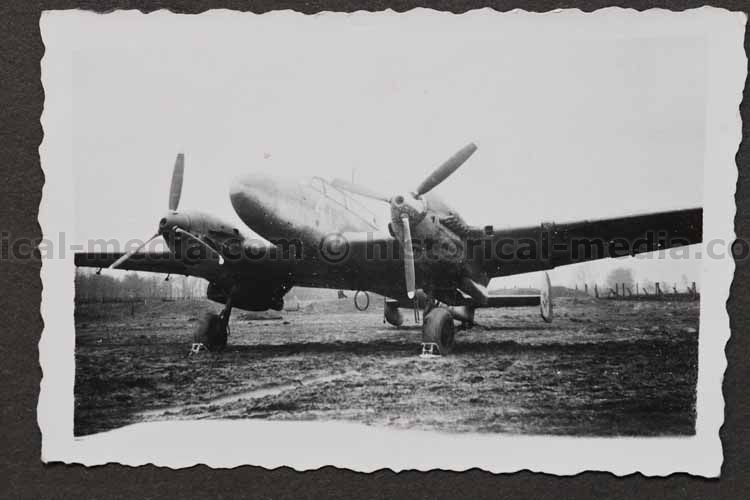 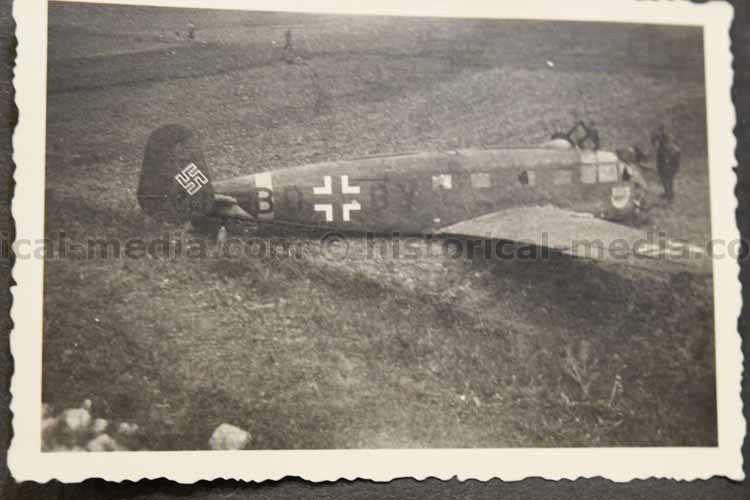 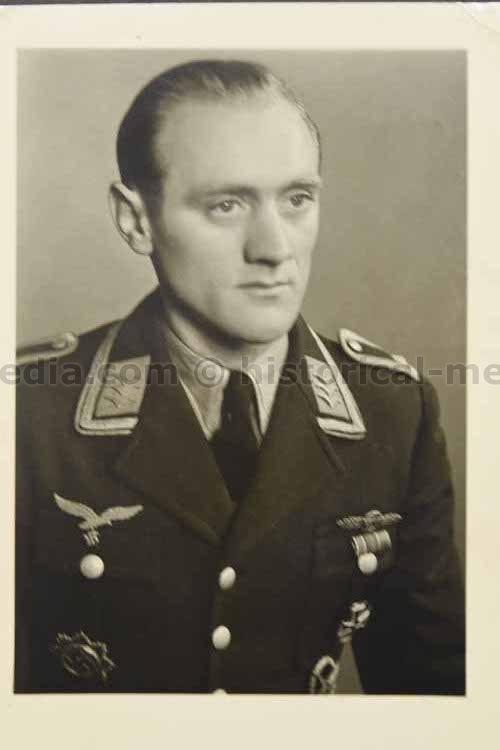 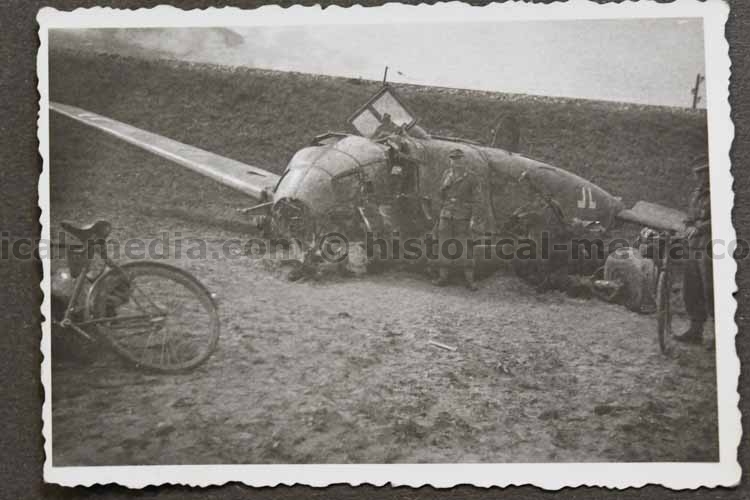 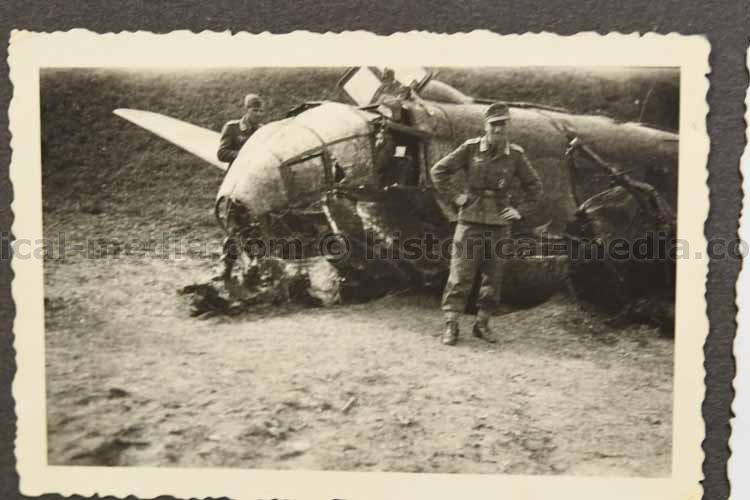 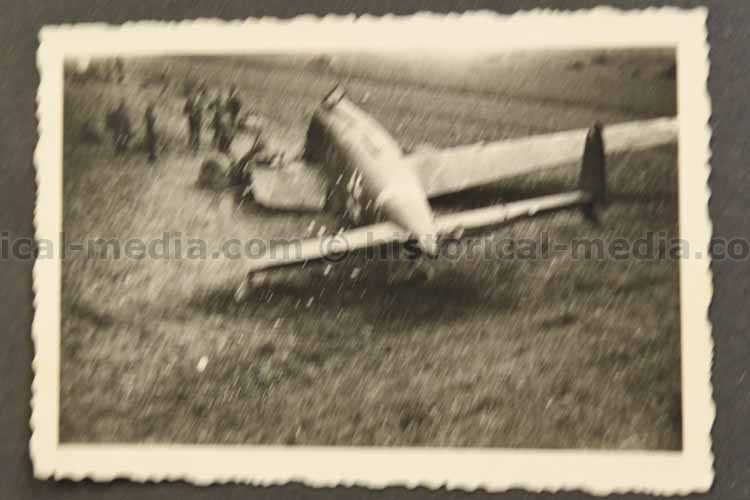 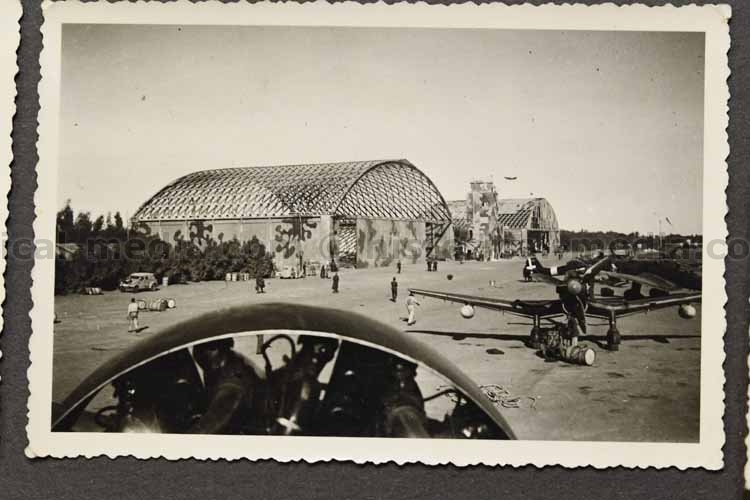 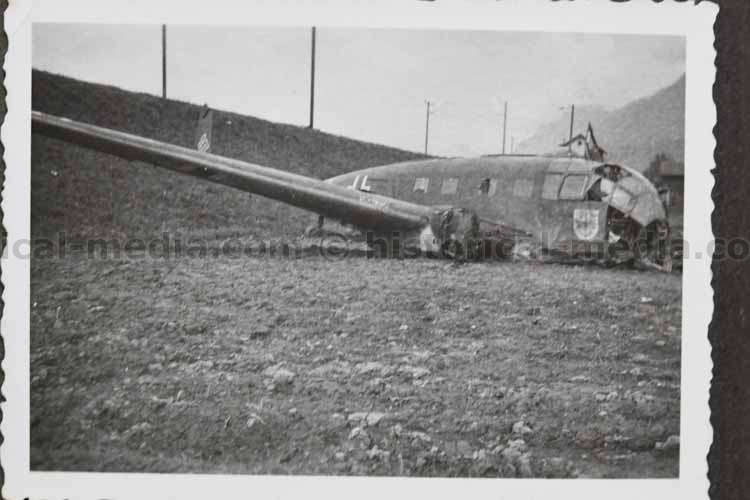 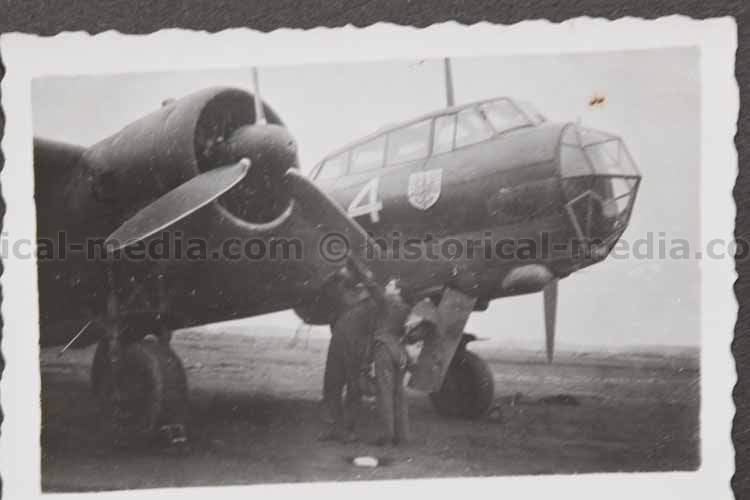 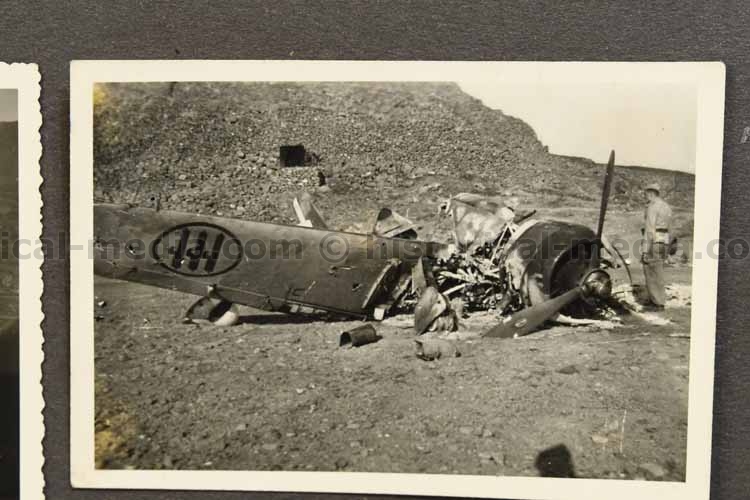 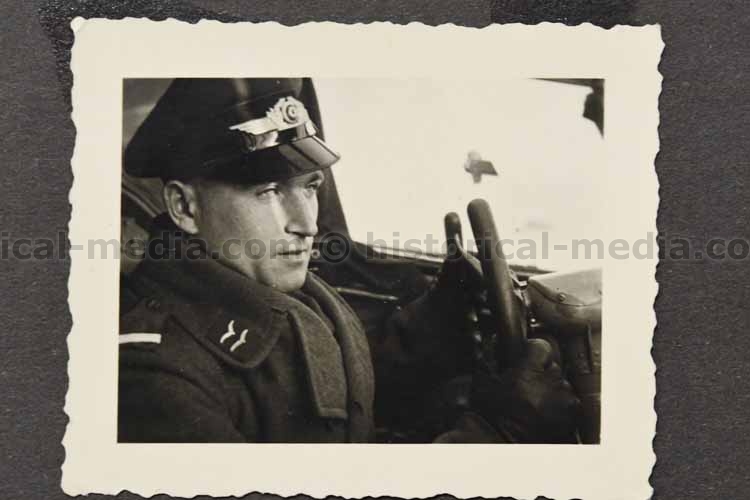 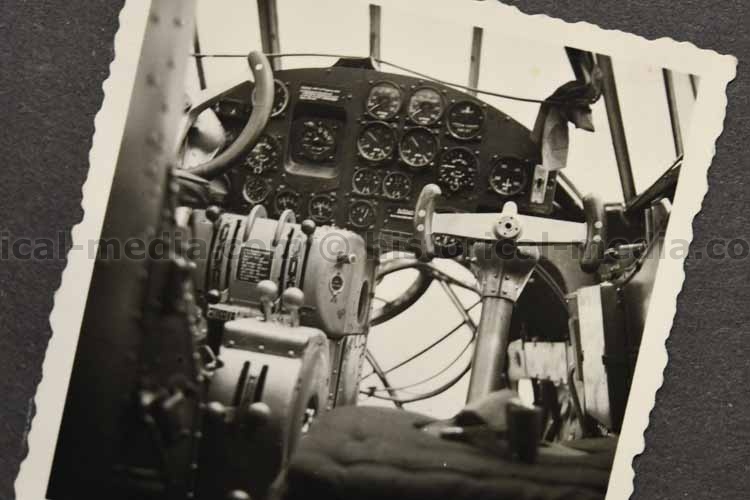 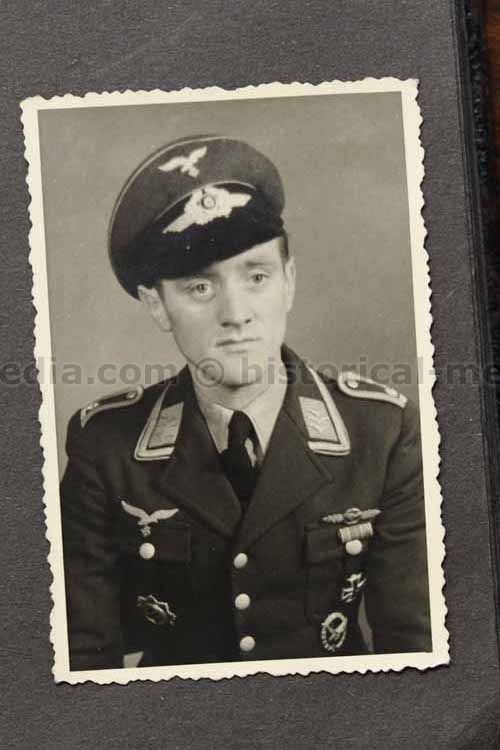 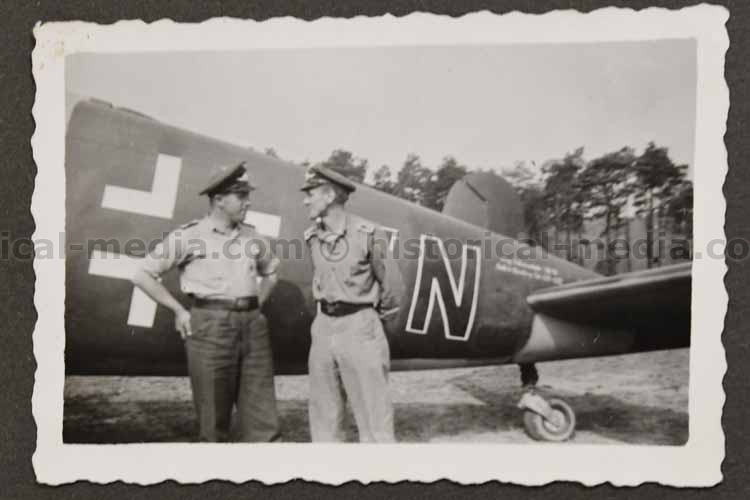 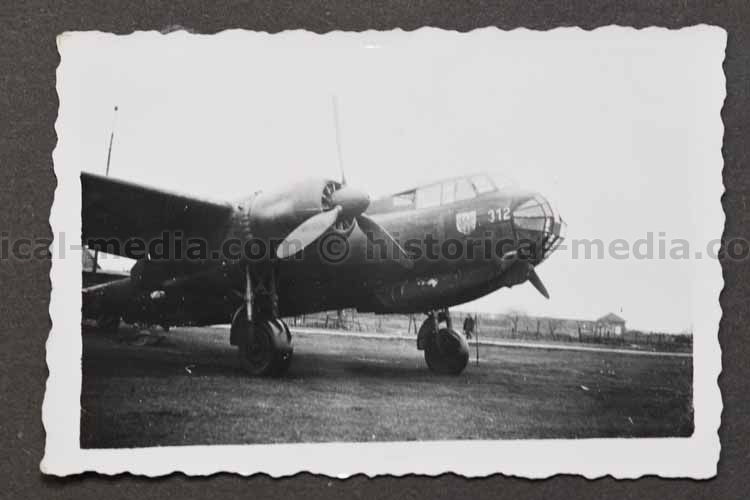 The photo album is excellent, filled with good aircraft photos, great photos and portraits showing him wearing medals including DKiG, comrades also wearing DKIG, inside views of his aircraft, photos from ITALY, crashed planes, plane squadrons in flight over the Mediterranean, crashed Italian aircraft, medal award ceremonies, Knights Cross Winners, two nice photos of Heinkel He 177 bombers, Me 110 on airfield, planes with unit emblems, and more!